Washington: US President Barack Obama has directed the Pentagon to develop an expanded list of potential targets in Syria. The new planning is a response to intelligence suggesting that President Bashar al-Assad’s government has been moving troops and equipment used to employ chemical weapons while Congress debates military action. 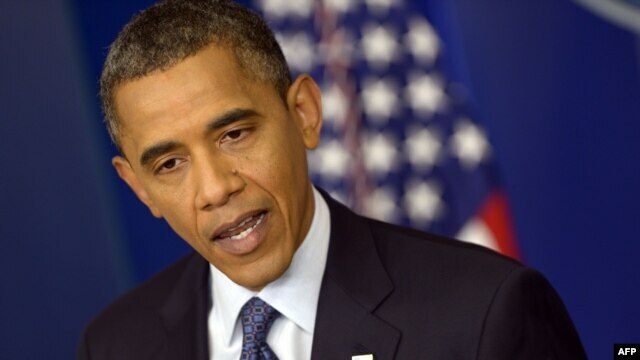 Officials said Mr Obama was determined to put more emphasis on the ”degrade” part of the administration’s goal in a military strike against Syria – to ”deter and degrade” Dr Assad’s ability to use chemical weapons. That means expanding beyond the original list of 50 or so main target sites developed with French forces before Mr Obama delayed action last Saturday. For the first time, the administration is talking about using US and French aircraft to conduct strikes on specific targets, in addition to ship-launched Tomahawk cruise missiles. There is also a renewed push to get other NATO forces involved. The strikes would be aimed not at the chemical stockpiles themselves – which would risk a potential catastrophe – but rather the military units that have stored and prepared the weapons and carried out attacks against Syrian rebels, US military officials said on Thursday. The chairman of the Joint Chiefs of Staff, General Martin Dempsey, said other targets would include equipment that Syria uses to protect the chemicals – air defences, long-range missiles and rockets, which can also deliver the weapons. Senior officials know that to win the fight on Capitol Hill, they will have to accept restrictions on the military response, yet to make the strike meaningful they must expand its scope. 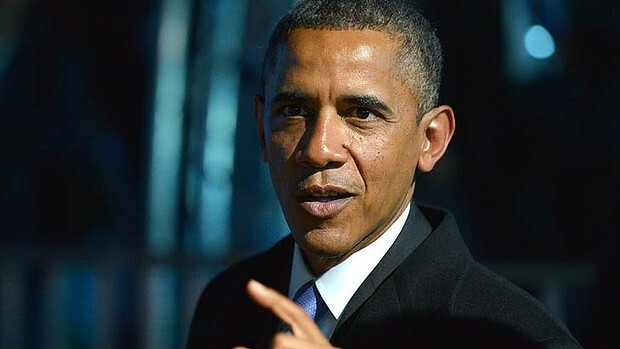 One senior official said Mr Obama intended to become more involved in direct lobbying for a military authorisation and there was talk of an address to the nation. As the target list expands, the administration is moving closer to carrying out military action that could also tip the balance on the ground, even though the administration insists this is not the primary intent. The bulk of the US attack is still expected to be by cruise missiles from some or all of the four destroyers within striking range of Syria in the eastern Mediterranean. But military planners are now also preparing options to include attacks by bombers which could carry more munitions, potentially allowing the US to carry out more strikes if the first wave does not destroy the targets. In recent days the US Navy has moved the aircraft carrier USS Nimitz into the Red Sea, within striking distance of Syria. But Defence Department officials said the carrier and its squadrons of F-18 Super Hornets were not likely to join any attack unless Syria launched major retaliatory strikes. Defence Secretary Chuck Hagel told legislators on Wednesday that a US operation would cost ”tens of millions of dollars”, the first time any administration official has put even a rough price tag on the possible strike. What Is The ‘Fiscal Cliff ‘ ? U.S. President Barack Obama has cut short his Christmas vacation to return to Washington and bring together Republican and Democratic Congressional leaders in a last-minute bid to, at least, strike a short-term compromise. The end of the year is the deadline for Republicans and Democrats to agree on reducing the U.S. budget deficit in order to prevent the United States from going over the so-called fiscal cliff. What is the “fiscal cliff”? In a nutshell, the so-called fiscal cliff is a combination of automatic tax increases and U.S. government spending cuts that will take effect on New Year’s Day unless the White House and Congress agree on how to reduce the budget deficit during the next decade. The tax increases would take effect because temporary tax cuts of the George W. Bush presidency, approved in 2001 and 2003, are due to expire on December 31, 2012. Meanwhile, $1.2 trillion in government spending cuts during the next decade would be triggered automatically under legislation from 2011. Why would government spending cuts come into force automatically? Spending cuts would come into effect automatically under the Budget Control Act, which averted the U.S. debt-ceiling crisis in the summer of 2011. It was a compromise between Republicans and Democrats that prevented a default on U.S. government debt in August 2011. The legislation temporarily raised the limit of debt the U.S. government was allowed to accumulate so that it could repay funds it had borrowed. But the Budget Control Act also contained a variety of spending cuts aimed at reducing the U.S. budget deficit by $2.1 trillion during the next decade. It included $917 billion in immediate spending cuts. It also specified that $1.2 trillion in further automatic cuts would be triggered at the start of 2013 unless a bipartisan committee could agree on how to reduce the deficit by another $1.5 trillion. Those automatic spending cuts would be applied equally across defense programs and nondefense programs. What do economic experts think the impact on the U.S. and world economy if Republicans and Democrats can’t agree on further deficit reductions and the United States goes over the fiscal cliff? Christopher Lockwood, U.S. editor of “The Economist,” explained the impact of political deadlock in a video posted online by the magazine earlier this month. “If the Republicans and the Democrats fail to reach agreement, the U.S. economy will be hit with a devastating fiscal sledgehammer, which could be equivalent in a full year to 5 percent of GDP,” Lockwood says in the video. Most economists agree, saying higher taxes would hit all income earners in the United States — giving them less money to spend and damaging the economy’s growth prospects. At the same time, the elimination of government spending would mean less money to stimulate growth, and also would probably result in a higher unemployment rate. Many analysts say there are already signs that the political deadlock in Washington is negatively affecting the U.S. economy by damaging investor confidence and impeding economic recovery. Why are the parties deadlocked? President Barack Obama and the Democrats want the wealthiest Americans to pay more in taxes by restoring the tax rates for the richest to the levels where they had been during the 1990s under President Bill Clinton. They would do that by extending the Bush-era tax cuts for everyone except the highest income earners. A bill proposed in the U.S. Senate, which is controlled by the Democrats, calls for tax-rate increases on incomes that are more than $250,000 a year for married couples or individuals. The Republicans, who control a majority in the House of Representatives, have agreed that tax revenues need to be increased. But the Republicans have opposed an increase in the tax rate for the wealthiest — arguing that revenues should be raised by closing tax loopholes instead. The Republicans also want the Democrats to reduce spending on so-called entitlement programs — such as Medicare and Social Security. But Democratic leaders have made it clear they will not support those kinds of spending cuts. Obama has cut short his Christmas vacation to return to Washington and bring together Republican and Democratic Congressional leaders in a last-minute bid to, at least, strike a short-term compromise. But economists say a short-term deal would only delay the problem of a growing deficit crisis instead of solving the problems in the long term.